It doesn’t get any easier than with this recipe. And they’re oh-so yummy. Just LOOK at that filling surrounded by all that perfect crispy crunch outer shell. 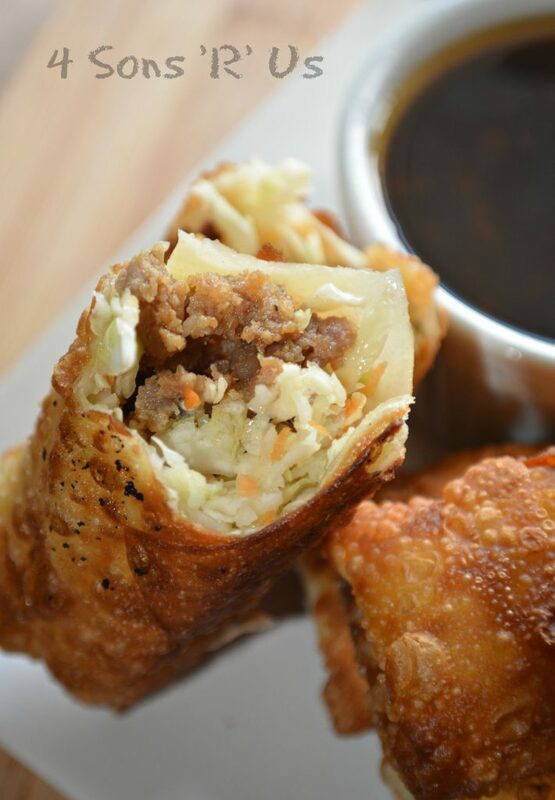 Stuffed with perfectly seasoned, cooked ground pork sausage and a blend of freshly shredded cabbage and carrots these babies are egg roll heaven in a bite. And don’t let the simpleness of the stuffing fool you, each bite is loaded with Asian flavor. You may not want to go back to the take-out version. Never worked with egg rolls before? Scroll past the recipe where we’ve included a photo tutorial for how to stuff and fold them. 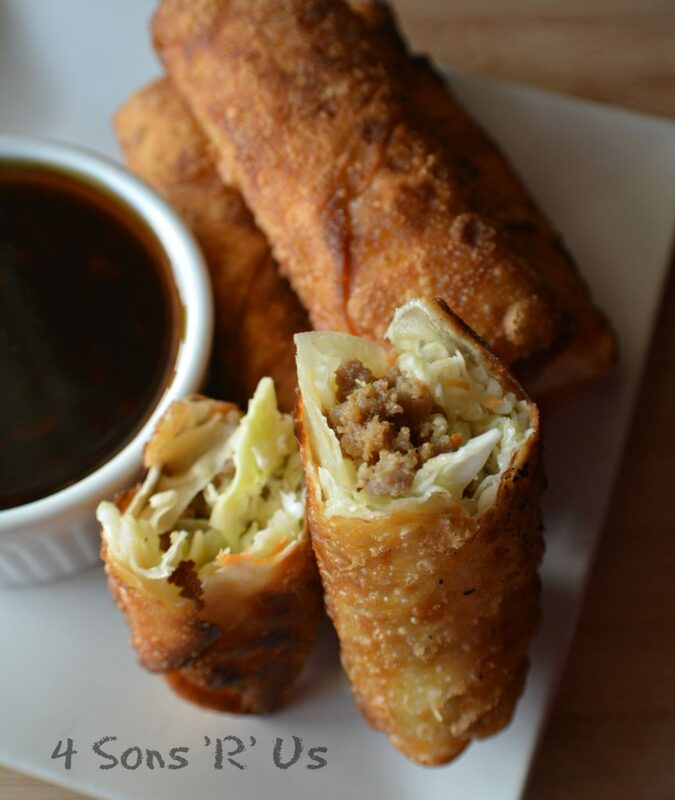 Crispy eggrolls are stuffed full of seasoned pork and veggies and served with a simple sesame ginger dipping sauce. In a small pot, lightly saute the minced garlic & the chili flakes over medium heat, just until fragrant. Add in the remaining ingredients and cook an additional 3 minutes, stirring occasionally. Remove the sauce from heat and refrigerate until ready to serve. In a medium-large skillet, over medium heat, add the sausage, ginger, garlic, onion powder, stirring to incorporate and breaking it up as you go, until no pink remains. Set aside. Preheat the oil to 375 degrees F.
In a small bowl, stir together the flour and water until evenly combined. 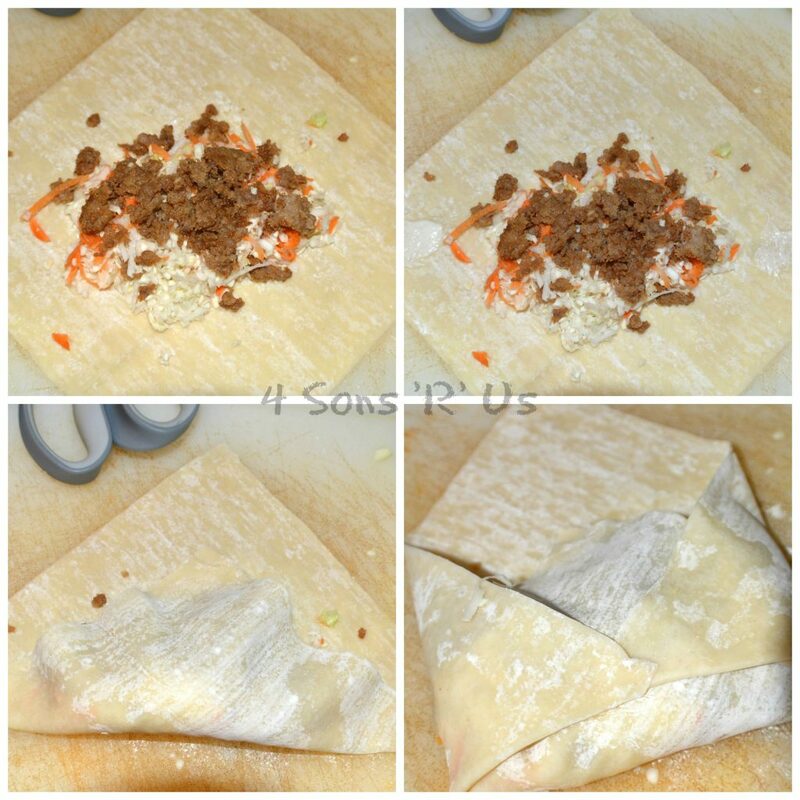 Lay out one egg roll wrapper with a corner pointed toward you. Place 2 tablespoons of the meat mixture and roughly 2 tablespoons of the coleslaw mixture in the center. Use your finger to spread a little bit of the flour mixture along the edges. Fold two of the corners together to make a triangle, gently press to seal the edges with the flour mixture, and then fold the sides in and roll up tightly. Fry egg rolls until lightly browned and crispy turning occasionally. 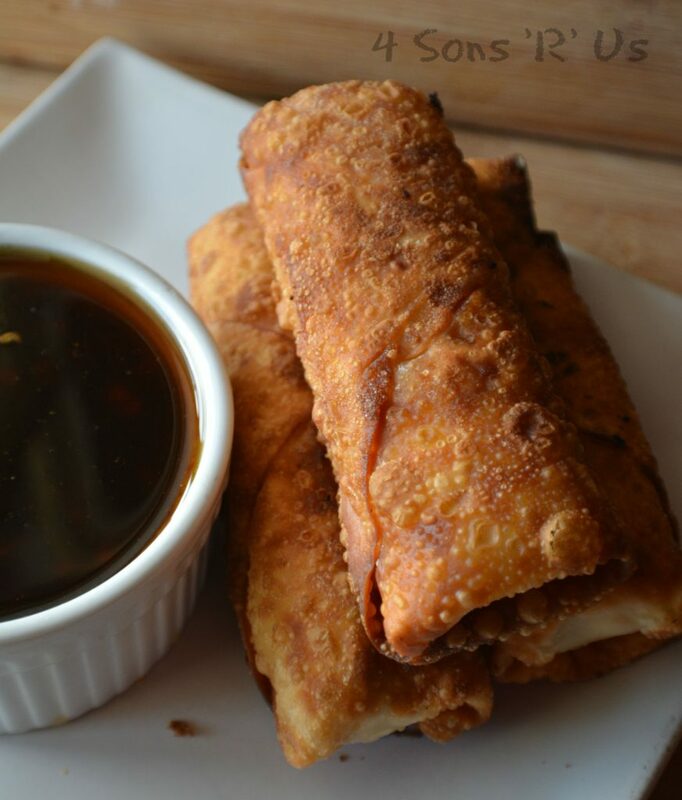 Serve the eggrolls with the sesame ginger dipping sauce. Oh yum! I made egg rolls with my mom and grandma once when I was young. I really need to make some again some time. These look amazing! Thanks, Carlee! They’re perfect for an introductory round without lacking anything in flavor.